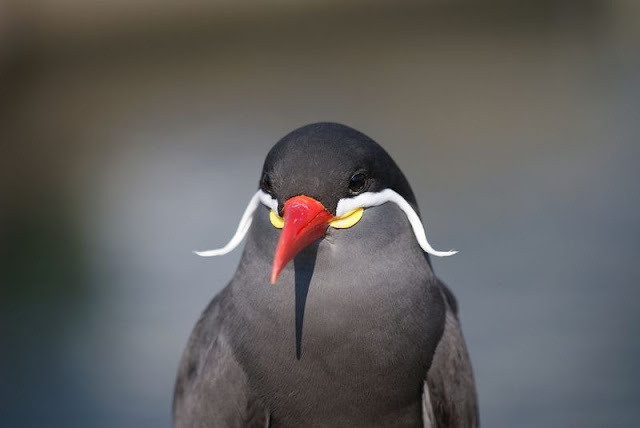 The Bougainville moustached kingfisher might be the one with word “moustache” in its name but it’s the dark grey plumaged Inca tern of the family Sternidae that sports the most magnificent whiskers. 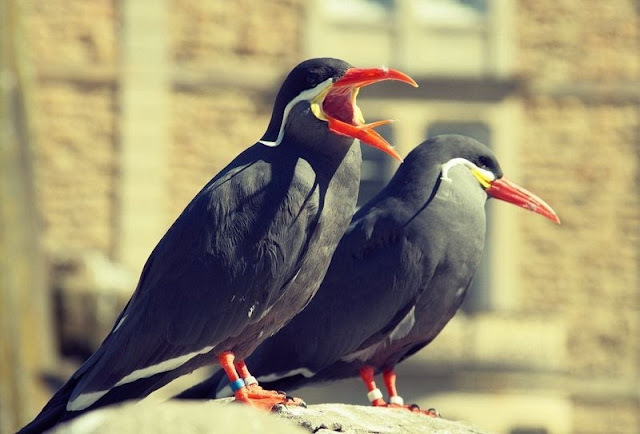 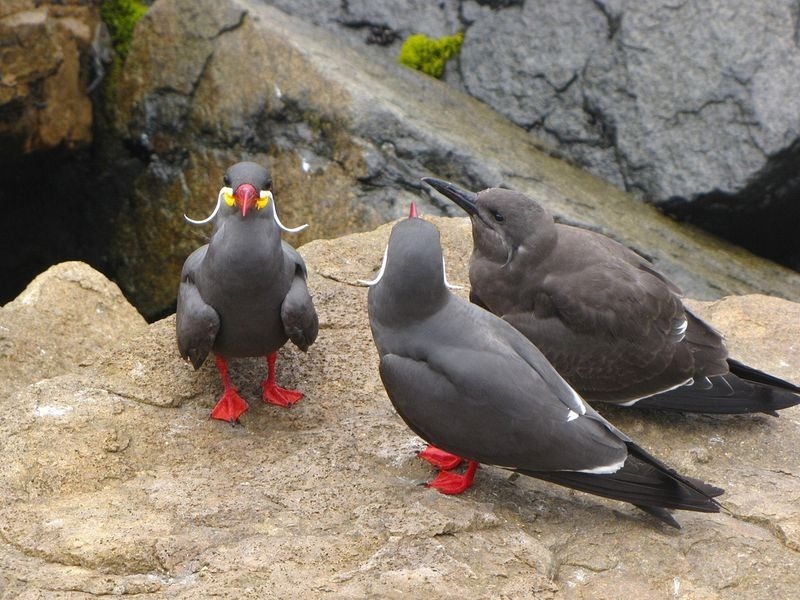 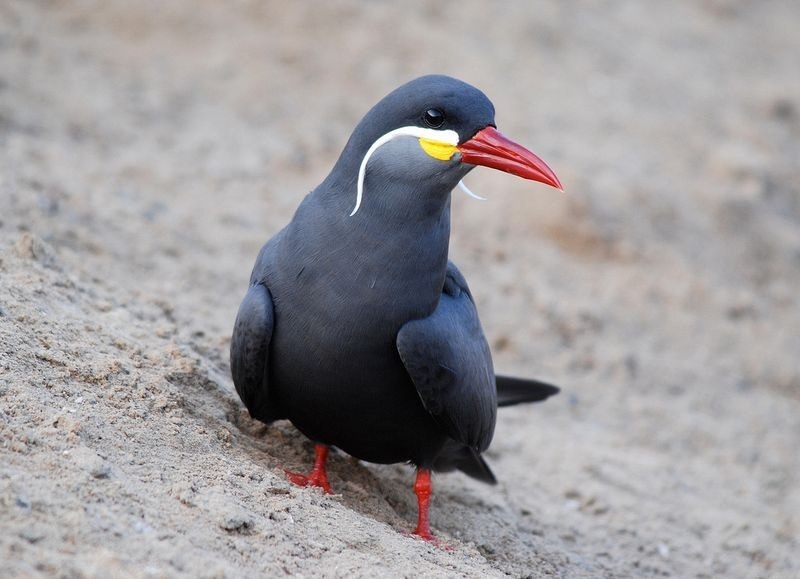 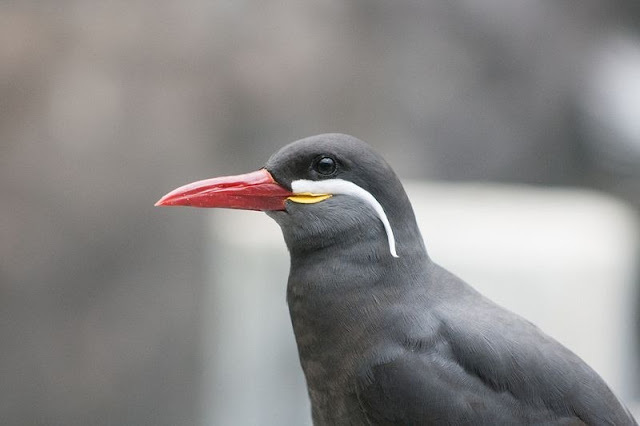 The Inca tern features a pair of striking Dali-like white handlebar moustache of specialized feathers that grow out from the fleshy yellow gape at the corners of its brilliant red beak. 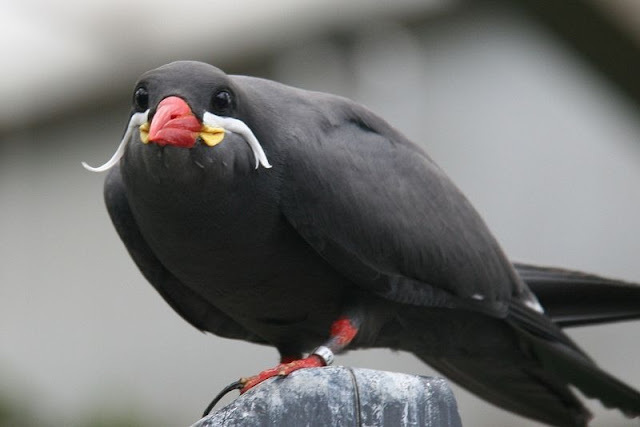 The moustache is not male exclusive, it’s shared by the females as well. 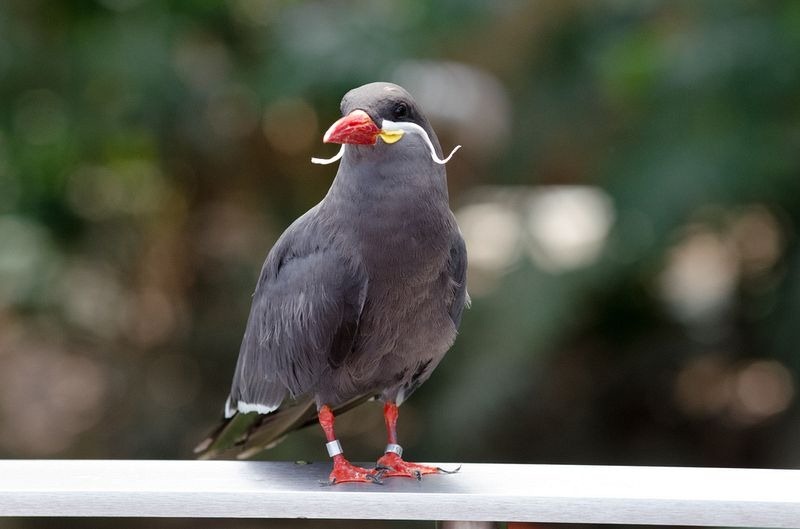 Aside from being an unusual ornament and a matter of pride, the length of the bird’s moustache is also a reliable signal of its body condition —the longer the moustache, the healthier the birds. 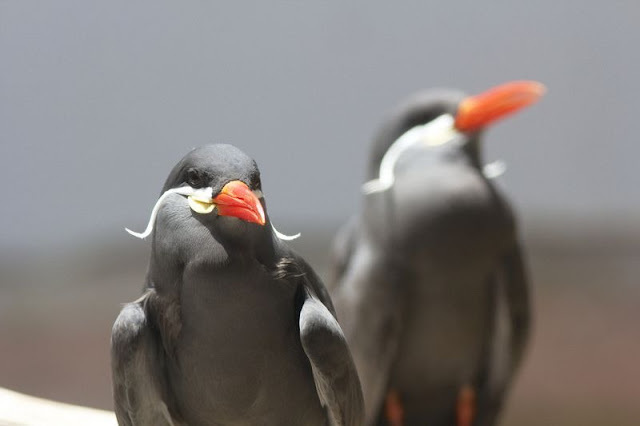 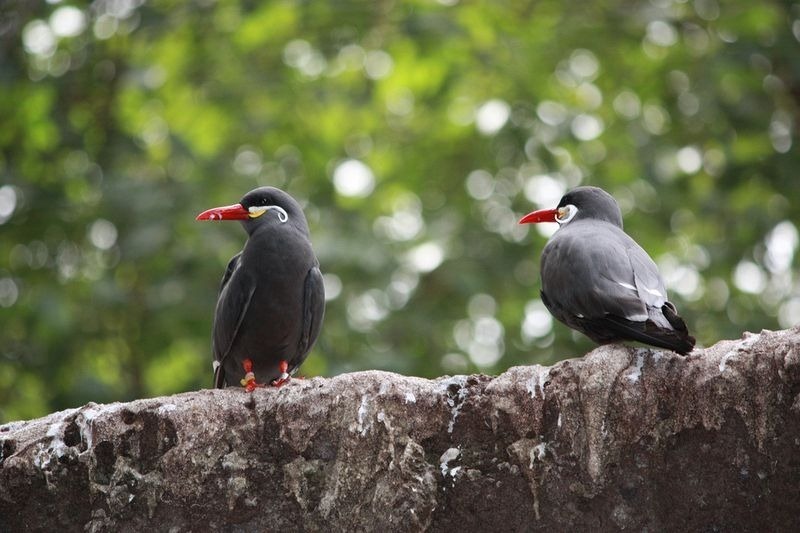 Inca terns with longer moustaches tend to mate together and have more and larger chicks.